London’s Slough House is where the washed-up MI5 spies go to while away what’s left of their failed careers. The “"low horses", as they’re called, have all disgraced themselves in some way to get relegated here. But now the slow horses have a chance at redemption. An old Cold War-era spy is found dead on a bus outside Oxford, far from his usual haunts. The despicable, irascible Jackson Lamb is convinced Dickie Bow was murdered. 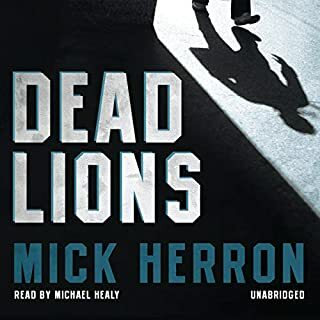 As the agents dig into their fallen comrade’s circumstances, they uncover a shadowy tangle of ancient Cold War secrets. Michael Healy speaks beautiful English and dust off a vocabulary seldom heard in America. Once one gets used to jumping around without warning ( al la le Carre) it all gets smoother and often hilarious. The authors accuracy with regard to the neurological details, clinical manifestations and Neuroanatomy were excellent. 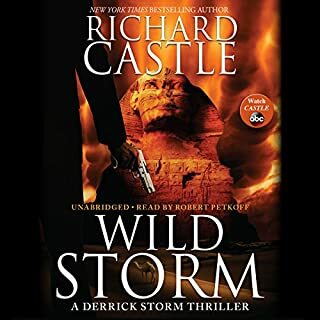 Derrick Storm, the guy the CIA calls on when it wants something investigated domestically, is 33,000 feet in the air, returning from a rock-climbing vacation in the Swiss Alps, when the plane spirals into a nosedive. Storm uses his climbing gear to tether himself to the wing and heroically save the plane and all the people onboard. Sadly, Storm is not available to come to the aid of the three other planes that have crashed under similar circumstances, killing everyone onboard. Nice addition to the series! Worst Bond knockoff of 007 yet. Save a credit. I can't believe I listened to most of this. 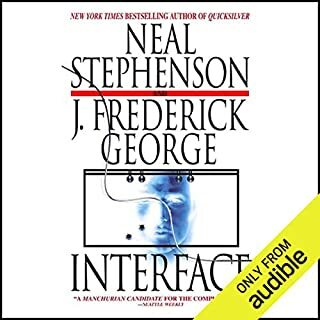 Narrator may have been underrated given the slop he had to read. I don't think anyone should have to be exposed to this. If you could play editor, what scene or scenes would you have cut from Wild Storm? This genre is generally given some literary latitude editorially speaking, but c'mon, protect us from this tripe. 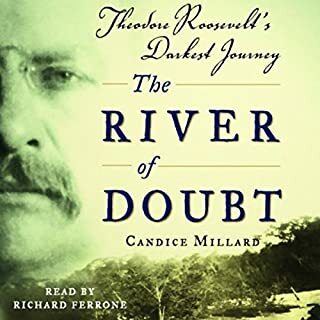 This work is a must listen for anyone interested in TR, Amazonia, tropical diseases, eqauatorial rainforests and the living things in them. In retrospect, this beautifully read work is brilliant because of its sheer depth and breadth. Every wound, sliver, bird, native and whitewater rumble is there for the listener to imbibe. Nearly every unique personality of the expedition party is woven into the this tale of naive and brash exploration. If you listen carefully you can be with them in the jungle without risk. It's a deadly dilemma for Martin Odum: both remembering and forgetting his past are dangerous options. 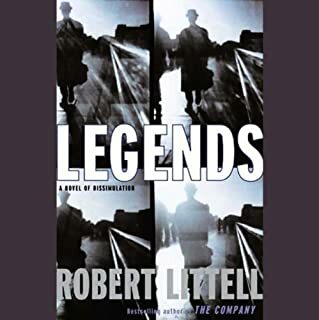 A discharged CIA agent turned private detective, Odum is struggling through a labyrinth of memories from past identities, "legends", in CIA parlance. Is he really Martin Odum? Or is he Dante Pippen, IRA explosives specialist? Or Lincoln Dittmann, Civil War expert? Or another, hidden legend? As another reviewer noted, this is fun stuff. The reader should engage in funseeking rather than typical spy gazing so as to enjoy it along with the author whose name has, by some coicidence, two "T's"and two "L's",similar to the doubling of letters in his Legends' names. Rather than repititious characterizations of the poets more energy should have been spent moving this mystery along. Was Longfellow really like that? 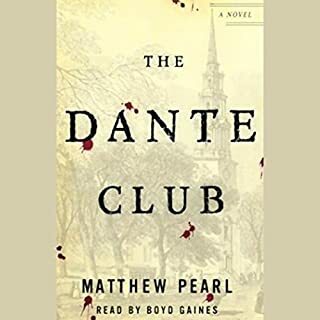 This was for me a little known era and scene with great potential getting poorly stirred with the mystery, though scenes of immediate post-Civil War Boston were interesting. I did manage to get to the end, I think. I am aware it was fictional.